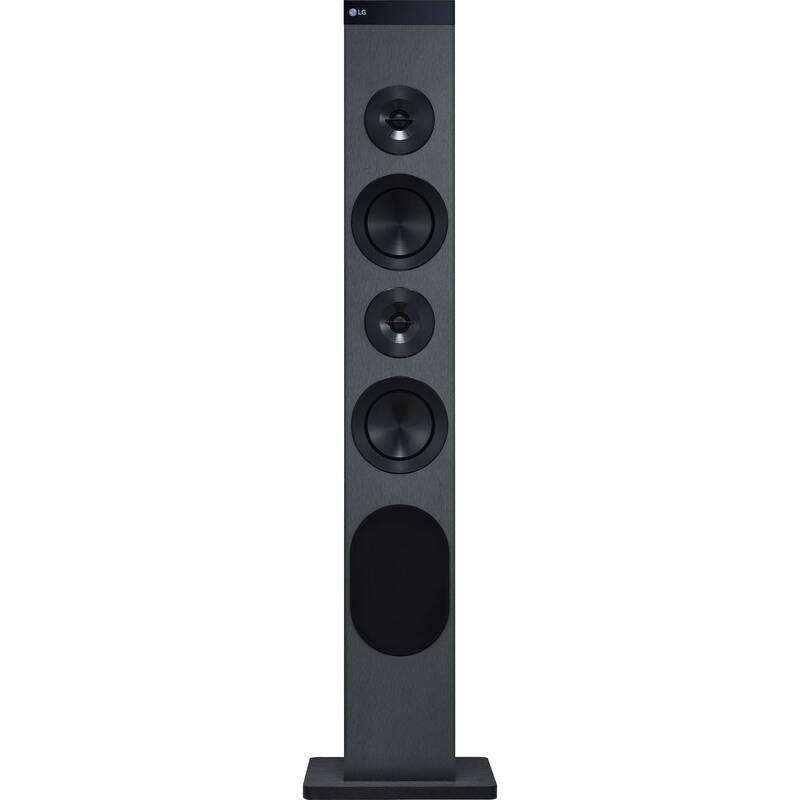 Enjoy room-filling sound from a single unit with the LG RL3 XBOOM Tower 130W Bluetooth Music System. It features a fully integrated design with an amplifier, speaker, and FM radio built into one unit. The system also has Bluetooth connectivity built-in for wireless music streaming. The RL3 XBOOM Tower has a USB port for playback of MP3, WMA, and other audio files from a USB storage device. For interfacing with wired audio sources, a stereo RCA port and 1/8" jack are also onboard.